The Hitachi UL-806 Ultra Long-Throw Zoom Lens works with the Hitachi CP-X10000, CP-WX11000 and CP-SX12000 liquid-crystal panel projectors. It's compatible with both XGA and WXGA resolutions, which increases its versatility. The UL-806 is built for large venues where the throw distance needs to be very long and the image size can vary from large to small. It features a motorized focus and zoom, with a zoom ratio of 1:1.8. It also has vertical and horizontal lens shift for moving the image up or down and left or right, which increases flexibility when installing your projector. The highlight of the UL-806 is its ultra long-throw ratio of 1:5.0 - 9.2 and its impressive maximum diagonal projection size of 700". 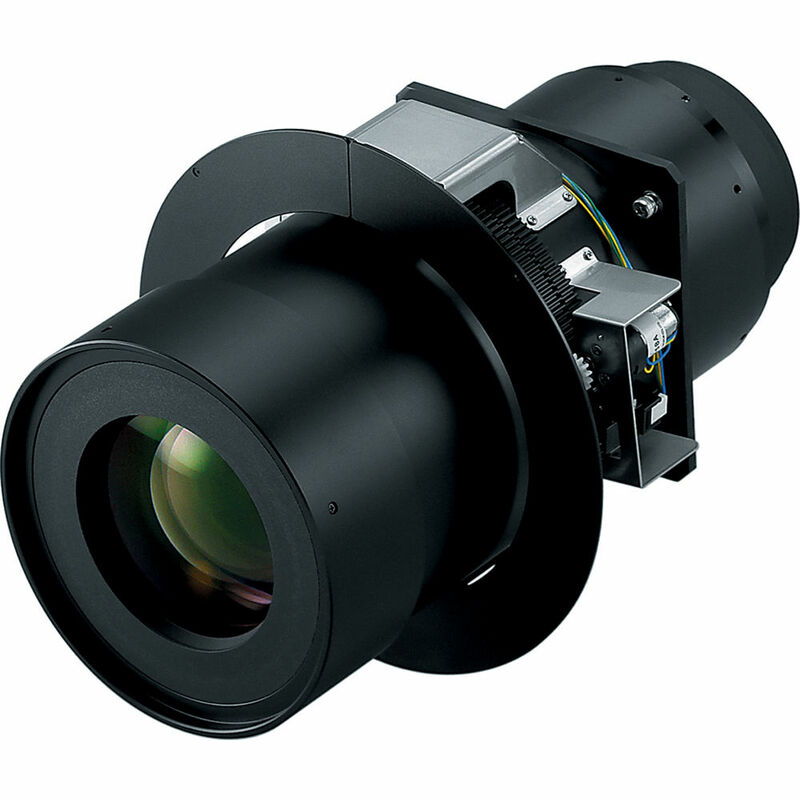 The ultra long-throw ratio is ideal for projecting well-defined, vivid images from a distance and even smaller sized images projected from far away will be sharp and clear. However, its real strength is projecting large images and the 700" maximum for a diagonal display ensures that even in large venues, everyone will be able to see your presentation. Box Dimensions (LxWxH) 14.5 x 10.0 x 9.2"